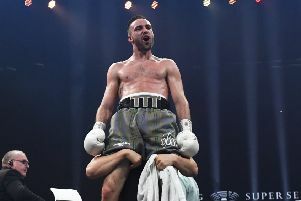 Edinburgh’s Lee McGregor is through to the second round of the AIBA World Boxing Championships in Hamburg after beating Vanuatu’s Boe Warawara on a points decision. However, it wasn’t all plain sailing for the 20-year-old British and Scottish champion who was knocked to the canvas for the first time in his career. Warawara had fought in the Olympics in Rio last year. But the Meadowbank amateur also succeeded in sending his opponent to the floor and always looked the more assured over the course of the three rounds. McGregor steps into the ring against American Duke Ragan in tomorrow’s second-round bout after the US fighter was a surprise winner over Cuban Javier Diaz Ibanez.